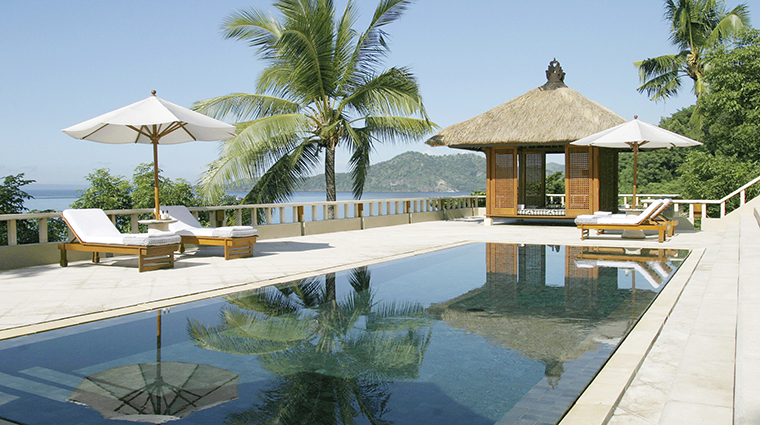 Amankila, a luxury hotel in eastern Bali, is one of three Aman Resorts properties on the island. 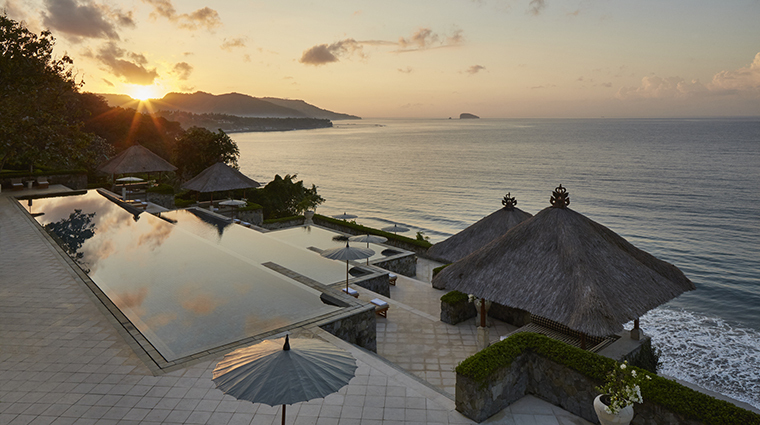 From the dramatic setting on the side of a cliff to the spectacular views of the Lombok Strait, the elegant villas and spectacular, three-tiered infinity pool, Amankila takes your breath away. Almost as remarkable is the resort’s staff; no request is too great and no detail too small for the accommodating Amankila team. Be it a personal snorkeling session or a private dinner on the beach, the crew ensures any request can be arranged at the drop of a hat. Bali has become increasingly popular with tourists over the past decade, leading to more development and the resulting traffic congestion in many parts of the island. Luckily, East Bali remains relatively untouched. With only a few construction projects along the coastline, the area feels like a quiet paradise that holds Amankila tightly as one of its best-kept secrets. Get centered with a private yoga session. Your instructor will tailor the class to your needs, and may even introduce you to the practice of Balinese laughter therapy. Cool off in the spectacular infinity pool. The three-tiered infinity pool was built into the side of the cliff to resemble Bali’s famous rice terraces. Needless to say, the views are sensational. Order lunch and cocktails to your lounge chair or personal thatched pavilion to maximize your time poolside. 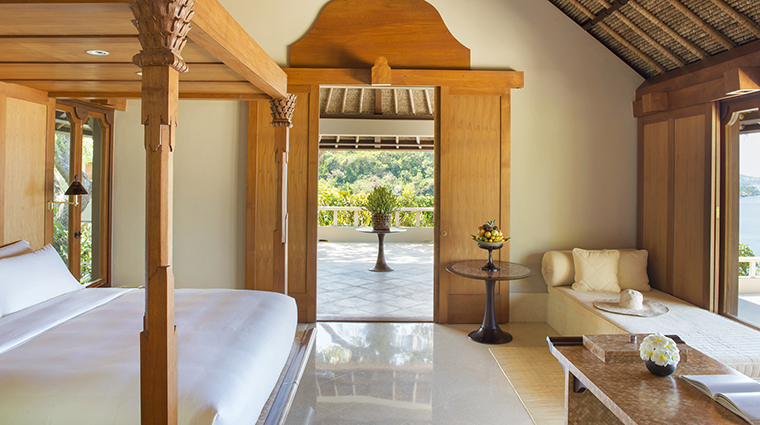 Relax with a Balinese massage on the private terrace of your suite, with the sound of the waves in the background. Take a sunset cruise along the coast on Aman XII, a 50-foot Balinese fishing craft. For a special evening, arrange a pig roast on the beach, complete with a bonfire and stargazing to your heart’s content. Amankila is situated on Indrakila near Manggis in East Bali. This property is one of a few hotels dotting the coastline in this lesser-developed area. On a good day, it takes roughly an hour to drive to Amankila from Denpasar International Airport. But because traffic on Bali is increasingly congested, don’t be surprised if it takes a bit longer. Helicopter transfers can also be arranged by the luxury hotel. Bali is tropical. That means it’s hot and humid year round. While East Bali is noticeably drier than other parts of the island (due to protection from Mount Agung), be prepared for the midday heat as well as the ever-present bugs. Don’t forget to apply bug spray throughout the day while doubling up the protection at night. The Bali hotel’s private beach is located at the bottom of the cliff, a short walk or buggy ride from the guest rooms. The Beach Club, where you can enjoy a light lunch and an easy dip in the lap pool, is steps from the sand. The onsite workout facility is small but well equipped. You’ll need to reserve the private room ahead of time. 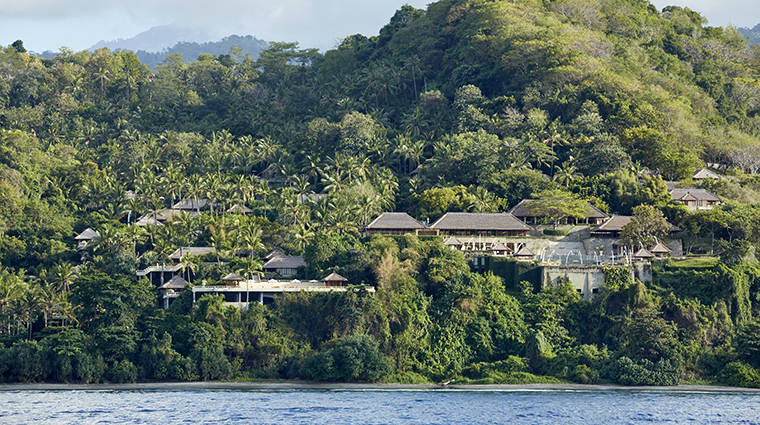 The 34 suites are modeled off of Balinese beach houses, elevated high on stilts to maximize views of the ocean. Each unit features a large bedroom with wide window views and a canopy king bed, as well as a private outdoor terrace with a desk and daybed for sunning and lounging. The rooms are air conditioned and equipped with a sound system. The spacious bathrooms include a soaking tub, two vanities and coconut-wood dressing areas. Private swimming pools are included in nine of the property’s suites, including the Amankila Suite, the Indrakila Suite, the Kilasari Suite and four interconnecting Pool Suites. 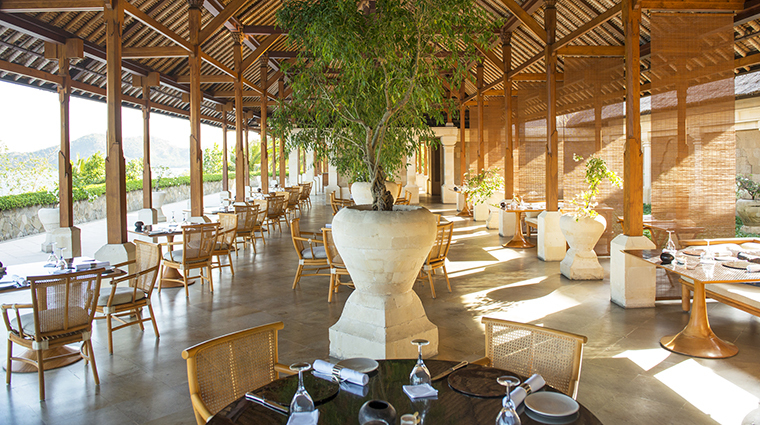 Amankila’s Restaurant blends local and Western cuisine for a delicious, healthy menu with plenty of vegetarian options. You can enjoy all meals in the Restaurant, have lunch on the Terrace by the pool or grab a bite down at the Beach Club. Try Mie Goreng for breakfast. Or lunch. Or dinner. No matter the time of day, the traditional Balinese noodle dish is not to be missed. Every night you can witness traditional Balinese dancing or live music over dinner.